Can the Proteas bounce back from the disappointment of defeat in Port Elizabeth when they face Pakistan at Kingsmead on Tuesday? Pakistan’s white ball credentials came to fore again on Saturday as they cruised past the Proteas with five balls to spare in what was a perfectly-timed chase. South Africa would have been disappointed with the meagre total they set in Port Elizabeth and will look for an improved performance come Tuesday’s encounter in Durban. South Africa will be kicking themselves after not setting a more competitive total after only losing two wickets in their 50 overs. At 82 without loss after 17 overs, you’d fully expect a team of South Africa’s quality to push beyond 350 at least. 266 would have been a competitive total 10 years ago, but the game has changed. You’d have expected either Reeza Hendricks or Rassie van der Dussen to be more aggressive in Port Elizabeth as Hashim Amla looked to play the more conservative role, as he so often does with opening with Quinton de Kock. It will be nice to see the two bizhub Highveld Lions players to show a bit more aggression in Durban, especially with the likes of David Miller, Faf du Plessis, Andile Phelukwayo, Heinrich Klaasen and Dwaine Pretorius to come after them. The lack of acceleration toward the need of the innings is what ultimately cost the South Africans at a blustery St. George’s Park, failure to take advantage of such a solid platform simply won't cut it. I doubt we’ll see any changes to the side heading up the coast to KwaZulu-Natal. The seamers will hope for a bit more assistance from the deck than they got on Saturday. It was just too easy for Pakistan who only really started to feel the squeeze toward the end of the innings as Tahir turned the screw. Weather-wise, we’re in for an absolute peach of a day in Durban. No cloud cover predicted and very little wind to speak of with temperatures in the late to mid-twenties for the day’s play. The Asians will be pretty pleased with the effort they put in against the Proteas in PE, especially after such a poor showing in the Tests. They managed to overhaul South Africa’s 266 in the final over of the game. The result was never in doubt, however, as Mickey Arthur's men timed their chase to perfection despite a little wobble toward the back end of the innings. Mohammad Hafeez was particularly impressive, with his match-winning 71 came off just 63 balls. The 38-year-old showed all of the maturity you’d expect from someone who has played over 200 ODIs in what has been an incredible career. Hafeez was supported by one of several exciting young limited overs batsmen in the form of Imam-ul-Haq (86). There were also solid contributions from Babar Azam (49) and Fakhar Zaman (25). The latter will certainly be looking for a more dominant performance that falls in line with his incredible ODI average of 56.52 on Tuesday. 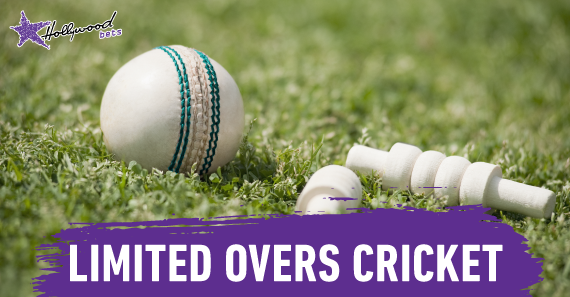 Shadab Khan and Hasan Ali – both of whom struggled a bit in the Test segment of the tour with the ball – showed their value in limited overs cricket. The pair conceded a meagre 83 runs and just five boundaries in their 20 overs. Look for the duo to shine again in Durban. Pakistan boast a solid record at Kingsmead. They’ve played eight matches at the venue since 1993, winning six. Their last two victories at the ground saw them edge South Africa by three wickets in 2013 and wallop Graeme Smith and company by 147 runs in 2007. The Pakistanis were excellent in Port Elizabeth and are tipped to take advantage of a South African side who will be without the Quinton de Kock at the top of the order. 31/20 looks excellent value, especially when you consider how well they’ve performed in Durban over the years.